Going in and out of Bohol is quite easy. Located centrally in the Philippine archipelago, the island is accessible by both plane and boat. There are regular Bohol flights to the island. 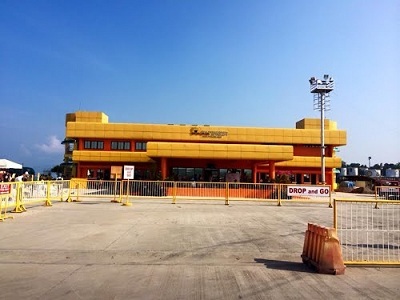 The current airport is located in Tagbilaran. Several ferries connect Bohol to the other islands of the Philippines. You can choose among several ports of entry - Tagbilaran, Tubigon, Talibon, Jagna, Ubay, Loon and Getafe. 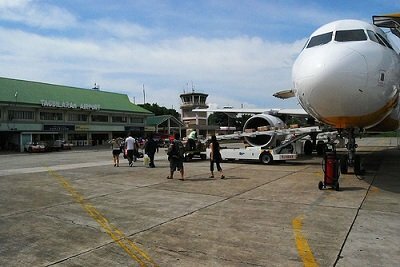 The Tagbilaran Airport is right in the middle of the city in the island of Bohol. There are regular flights, now almost daily, which will take you an hour from Manila. Getting to Bohol takes 2 hours of domestic flight from the Ninoy Aquino International Airport to Tagbilaran City, the capital of the Bohol Province. Choose between Philippine Airlines and Cebu Pacific. You can also take a flight from Cebu. It takes only 25 minutes of domestic flight from Mactan International Airport to Tagbilaran City. There are several daily flights from Manila to Mactan, Cebu serviced by three (3) airlines namely: Air Philippines, Philippine Airlines and Cebu Pacific. For specific schedules, please inquire from the above airlines. Note: Schedule of flights may be changed without prior notice so please verify from the airlines concerned for final schedule of flights. The Tagbilaran seaport is the main port of Bohol and accommodates large commercial passenger and cargo vessels from Luzon, Visayas, and Mindanao. 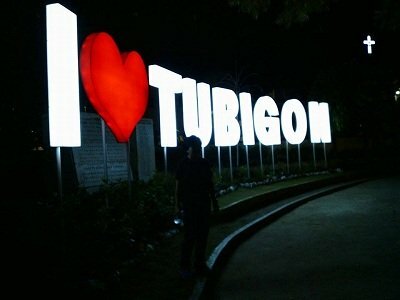 The port of Tubigon is located approximately 53.6 kilometers northwest of Tagbilaran, almost adjacent to Cebu City. It is a very busy port with ferries plying the Tubigon-Cebu City route. It is a major choice of travelers bound for Cebu and vice versa because of its numerous boat schedules. Travel time takes more or less two hours depending on boat type. 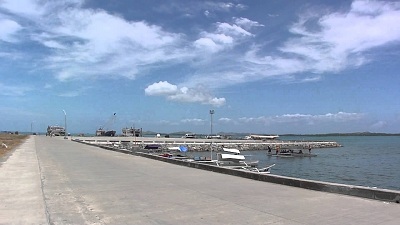 The port of Jagna is located on the southern coast of Bohol, about 63 kilometers from Tagbilaran City. Once the hub of maritime activities, now the port only services travelers to and from Cagayan de Oro, Butuan, and Nasipit and vice versa. With the completion of the 60.4M Jagna Port expansion project, commerce is expected to pick up. The port of Ubay is located at Tapal, Ubay. Ubay is a municipality situated on the northeastern seaboard of the province 123 kilometers from Tagbilaran City. The port is a principal gateway to Leyte. Bus trips are available from Manila via Quezon Province, passing by the Mayon Volcano, then to Sorsogon and crossing the sea on board a RORO boat to Samar, on the San Juanico Bridge to Leyte, then to Bohol via RORO. Bus trips also ply the route from Mindano via Southern Leyte. 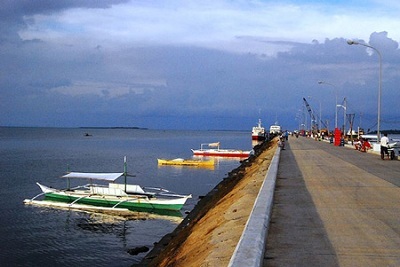 The port of Loon is located on the western coast of Bohol, about 27.4 kilometers from Tagbilaran City. It is specifically situated in the barrio of Catagbacan. The town of Argao on the island of Cebu is just across it. RORO vessels ply between Loon and Argao. The port of Getafe is located on the northern coast, about 92 kilometers from Tagbilaran City. Getafe is nearest to Cebu City and many large outrigger boats ply the Getafe-Cebu City route daily. Note: Schedules are subject to change without notice. Please call up the offices to confirm your trips.